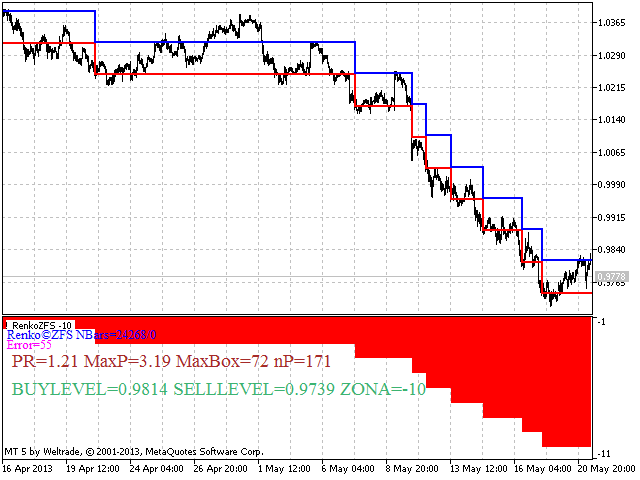 A unique indicator for determining global trends developed on the basis of the Renko method. The indicator sets up for the entire history by itself depending on the search period chosen. 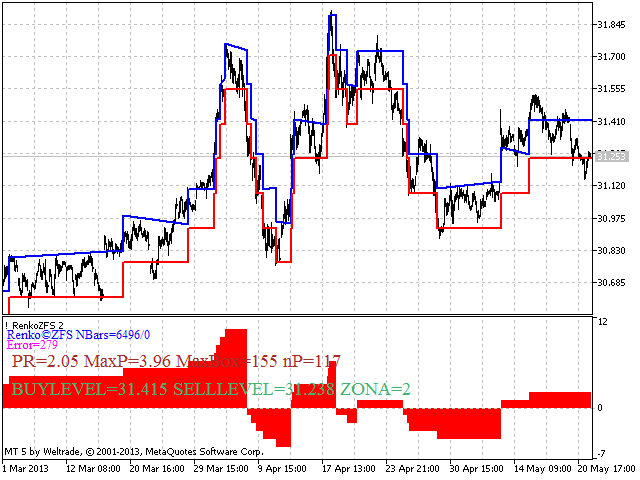 It works on all instruments and timeframes and it requires some price history for the analysis. 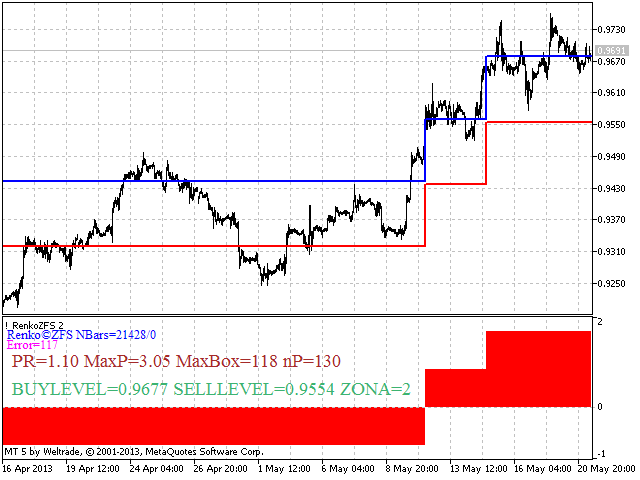 The indicator values and levels are stored in global variables and thus can be used in Expert Advisors. 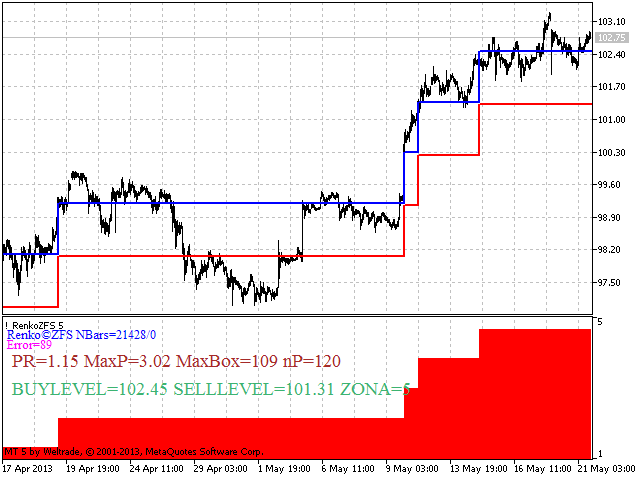 The indicator is not redrawing. 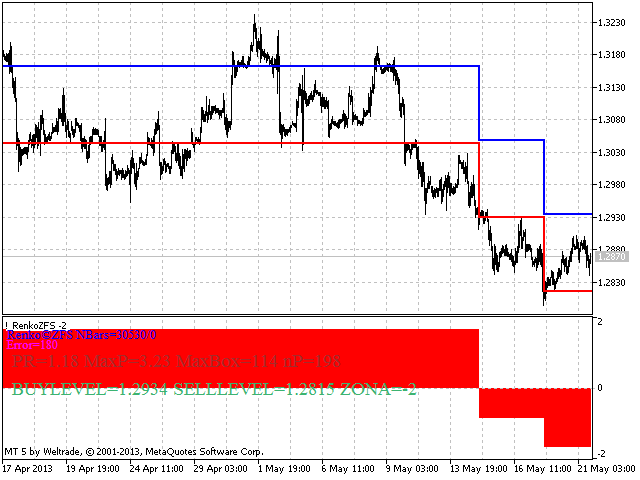 If you have any questions or need to improve this indicator, please write at vasbsm@mail.ru.